MyVoiceBox Offers Great Value Call Rates Cheaper than Most Traditional Home Phones. Our VoIP phone plans save you money with great value calls - call anywhere nationally for a flat untimed rate and talk for as long as you like. You can even save money calling others on our network as those calls are FREE, so bring your family and friends! 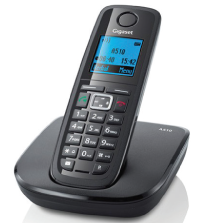 You don't even have to change your current home phone handset! All you need to get going is a nifty adapter and your internet connection. Or if you want a new extraordinary IP enabled phone, we can help with that too. You can also keep your current phone number, or get a brand new one. We will be happy to talk you through the options and what will be best for you. In order to access the Service, you will need a dedicated fixed line broadband Internet connection, such as ADSL 2+ will need an IP Phone; may need extra hardware depending on your set up e.g. Analogue Telephony Adapter (ATA), VoIP enabled modem. We recommend that the Service be accessed with hardware supplied or approved by us, using a broadband ADSL or SHDSL service supplied by us to our specifications. The Service is designed to allow users to bring their own device, but we do not offer any guarantee or assurance that all devices will be compatible and function with the Service. The broadband speed required for the Service will depend largely on your network demands. Data transmission demands on your network may cause the bandwidth available for voice transmission to be limited if voice and data share the same connection. Extra charges will be incurred for freight for any hardware. Set up fee of $55 incl GST applies. Porting charge of $110 incl GST for customers wishing to retain their existing phone number. International Calls are allowed by default, if you require this feature to be blocked you will need to contact us.